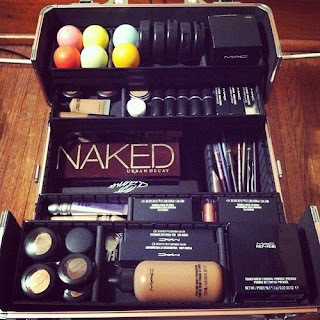 Building your professional make up kit can be daunting. You always wonder "Should I have this? Or this? Do I need this?" I've decided to help with all the pre kit worries and create a list of some of the must have items that you need to have in your kit. Whether you're a beginner or have a full kit and are looking for some more things to fill, this post is the perfect place to start. I would recommend getting a variety of colours. You don't need every single one. Just get the basic light, medium and darks and then that way you can mix them to match your clients skin tone. Again, I would recommend a variety of colours as not everyone has the same brow colour or suits a certain colour. This palette is great as it has bronzers, highlighters and blushes all in one!